A landmark Victorian hostelry is set for a £1 million facelift after being rescued by a local pub company. 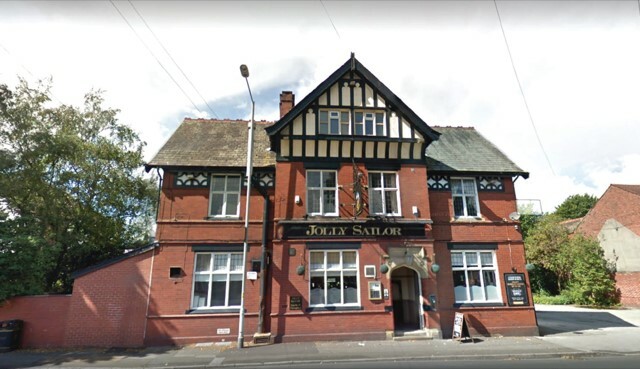 The Jolly Sailor in Davenport, Stockport, due to reopen in late spring almost 18 months since last orders were called, will be the sixth acquisition by the award-winning Cheadle Hulme-based Almond Family Pubs. The company has begun recruiting to fill up to 40 jobs created when the Jolly Sailor gets on board. With latest industry figures putting the rate of pub closures in the UK at 18 every week, the company continues to buck the trend. The group, family run by former hotelier Doug Almond and his son and daughter James and Vicki, has secured a reputation for taking on and turning around pubs that have become "un-loved". It comprises the Fletchers Arms, Denton, The Hesketh in Cheadle Hulme, Three Bears in Hazel Grove, Puss in Boots in Offerton and Spread Eagle in Romiley. Their winning formula of providing top class carvery dining with an extended pub classics menu will be put in place at the new venture and an orangery is being added to create additional dining space. Doug Almond said; “We’re so pleased we can make the official announcement that we’re taking over the pub. We’ve had months of negotiations with the brewery and we’ve been desperate to respond to all of the positive feedback we have received from the people of Davenport via social media and our loyal guests in our five pubs. "We’ve been listening closely to what the locals want and we will be doing what we can to make sure the pub works for them. Of course, we will be serving our famous carvery but, having listened and seen the success of our extended menus in our existing pubs, we will offer a good pub menu alongside, as well as keeping dedicated areas for drinkers. For more information contact Kate Evans, marketing manager.